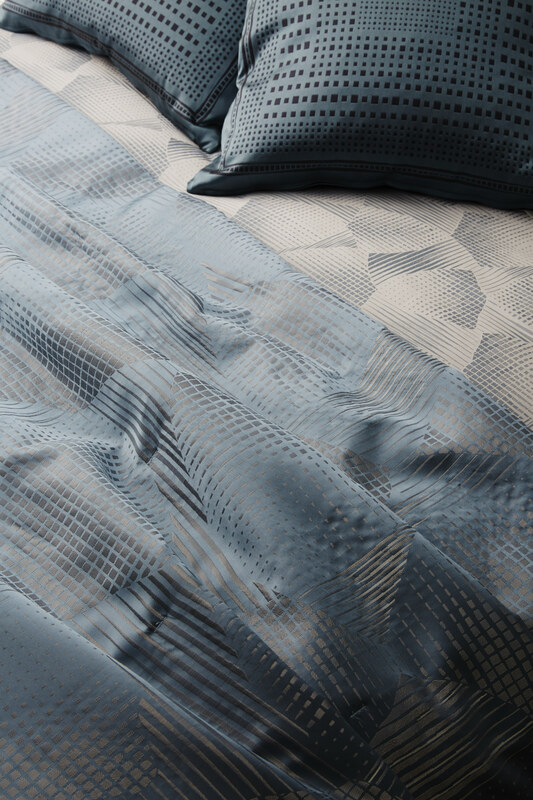 This Fall, Frette reinterprets the signature use of rich jacquard fabrics in new and unexpected ways. 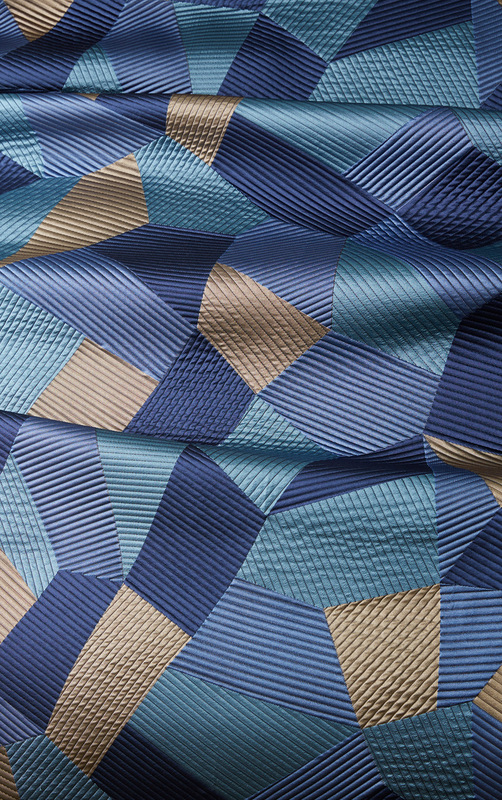 Weaving together different materials and yarns, these beds feature sophisticated and unique designs. 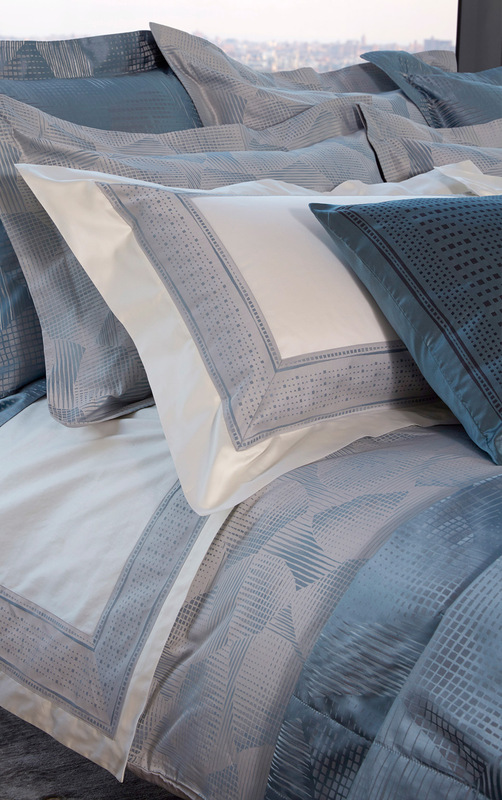 The versatile and classic Doppio Ajour makes a perfect pair with the bold and energetic Abstract bedspread and shams. 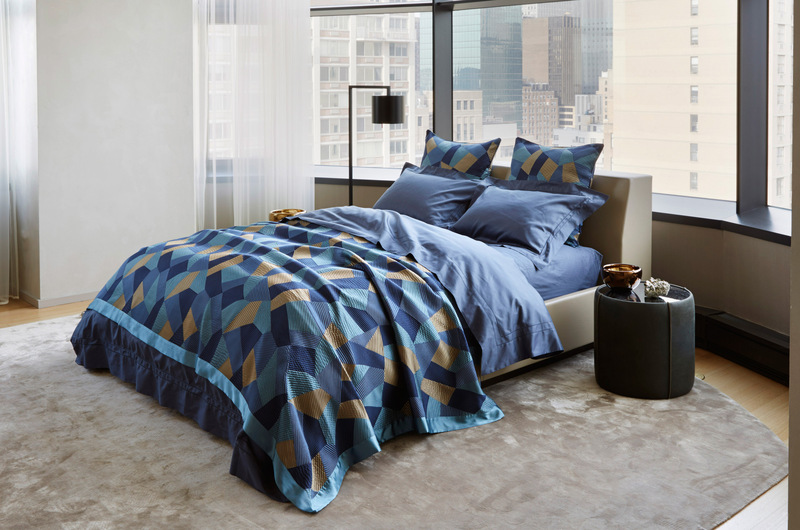 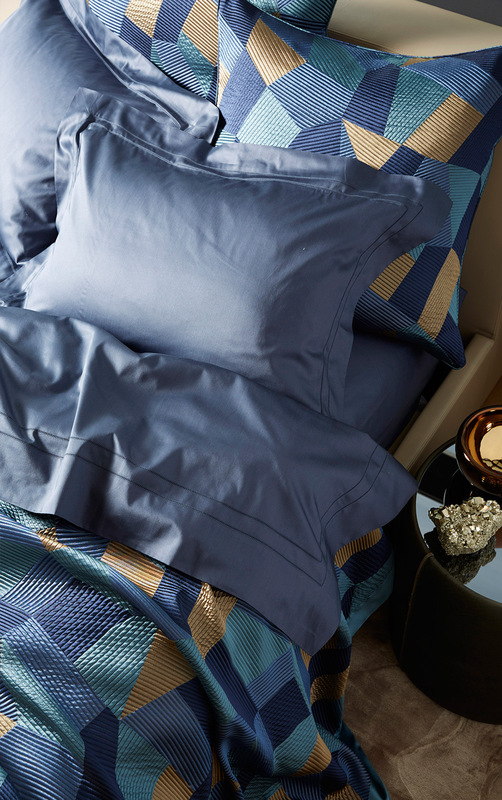 This design includes a geometric patchwork in yarn-dyed silk jacquard, meant to compliment many other Frette collections. 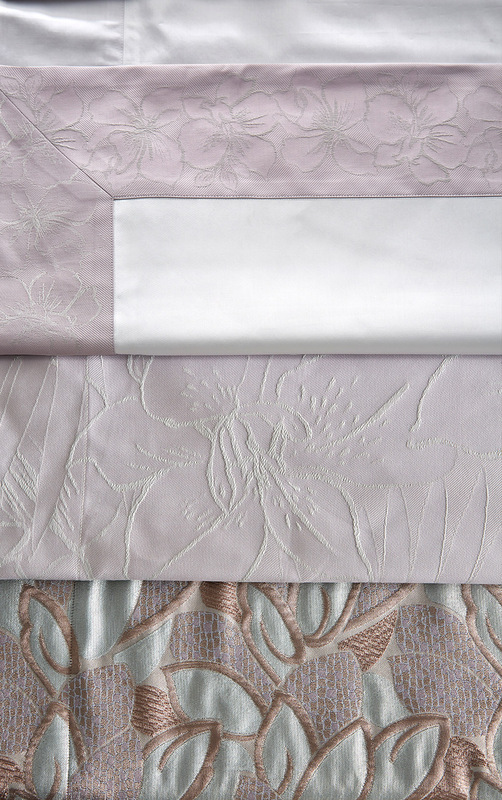 This design evokes classic elegance and subtle femininity through an intricate flower-pattern jacquard. 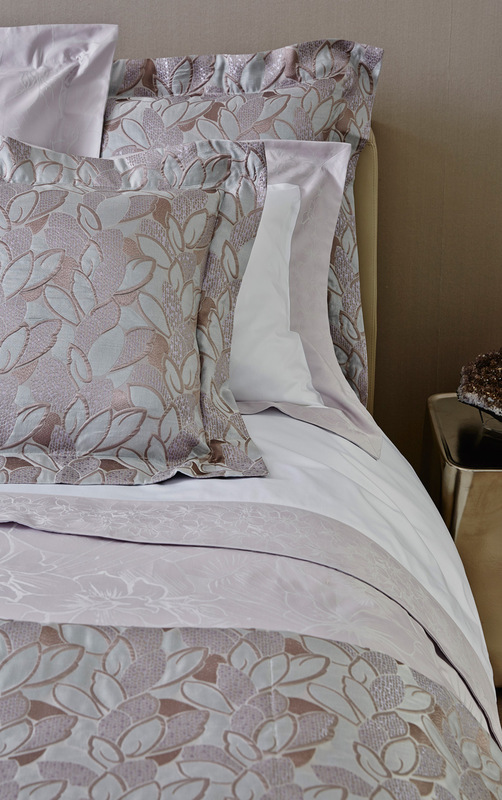 It translates the resplendence of a lovingly tended garden into a richly detailed floral design of subtly shifting tones and textures. 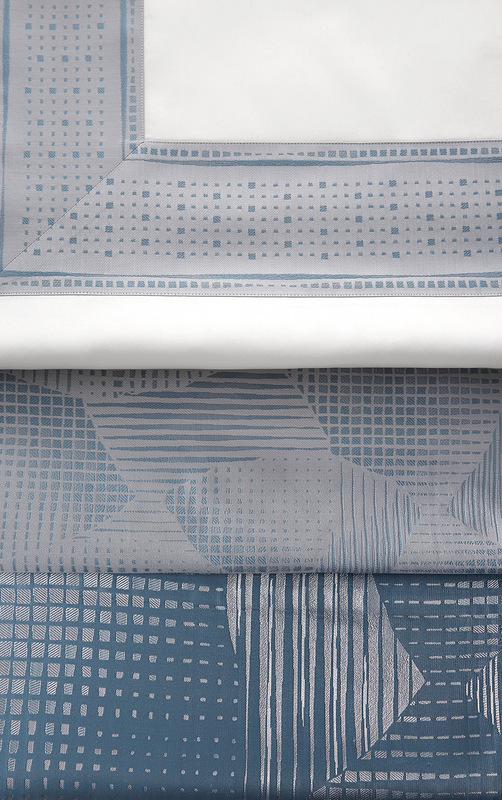 This innovative pattern has its roots in the punch cards that were first used in computerised jacquard looms - A tool of implementing a design thus becomes the inspiration.